Tackling an entire decade--and a turbulent one at that--within a three-hour movie is a challenge, and while The '60s is frequently entertaining, it unfortunately is not completely up to the task. Following the lives of four young people, three from a white suburban family with parents out of The Wonder Years and one African American from the South, the characters are forced into one-dimensional clichés; they are their personas to the nth degree. 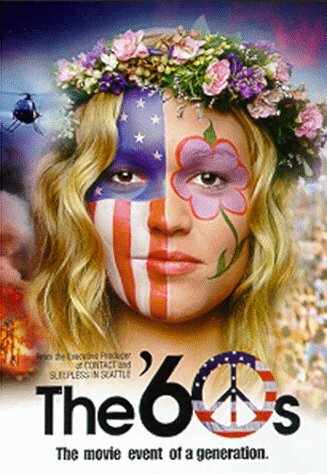 Katie (Julia Stiles), the pretty young blond, is the lost hippie; Brian (Jerry O'Connell), the former high school football player, is the gung-ho-turned-disgruntled Vietnam solider; Michael (Josh Hamilton) exemplifies the political activist; and Emmet (Leonard Roberts), the only representative of the entire black movement of the '60s, plays first the pacifist who effects change through nonviolent means and then the Black Panther, and then he finally returns to his nonviolent ways. Yet, despite the trite characters and slow beginning, the movie picks up pace as each becomes involved in his or her own story. They become strangely compelling, to the point where you are sorry when the story switches to another character because you want to see more. If you have any questions about this product by Lions Gate, contact us by completing and submitting the form below. If you are looking for a specif part number, please include it with your message.